Product information "Construction profile K30 (T-slot 6) 30x60, Aluminium nature anodized (length 6000 mm)"
Material: Aluminium, nature color anodized. Light and stable constructions let perfect build up by the K30 construction profiles (T-slot 6.2) of the KINETIK MSystem®. Their are especially suitable for light assemblies, show cases, installations, partition walls, shelves and for the complete exhibition stand construction. 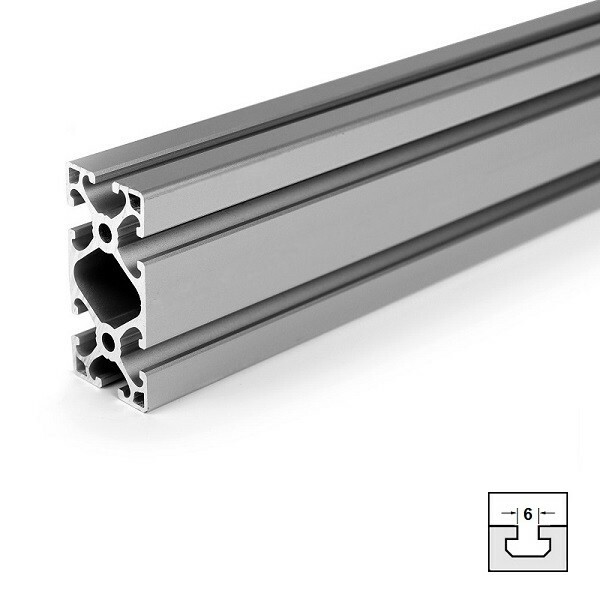 Related links to "Construction profile K30 (T-slot 6) 30x60, Aluminium nature anodized (length 6000 mm)"
Customer evaluation for "Construction profile K30 (T-slot 6) 30x60, Aluminium nature anodized (length 6000 mm)"